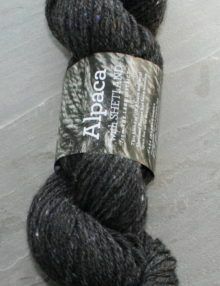 A simple cable pattern hat pattern knitted in Town End Pure Natural DK alpaca. 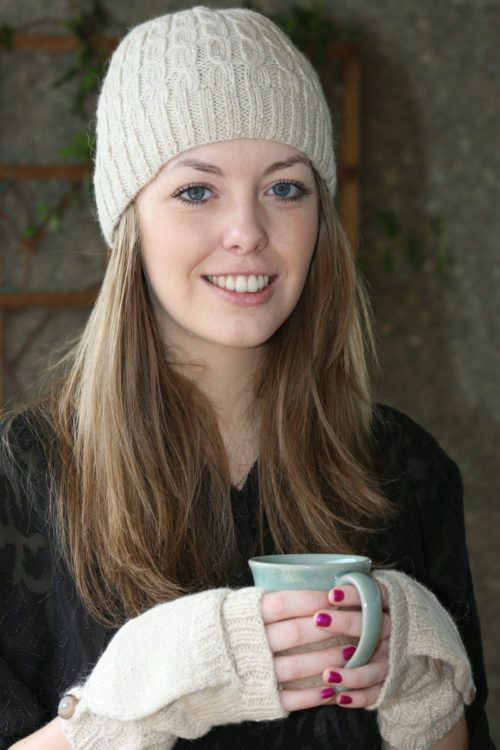 A classic hat with a ribbed border and cable design knitted flat and seamed down the back. A simple cable patterned beanie hat pattern knitted in Town End Pure Natural Alpaca. 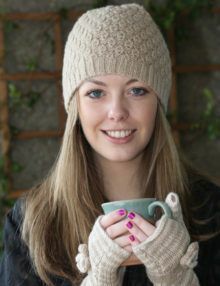 This is a classic hat with a ribbed border and cable design knitted flat and seamed along the back. 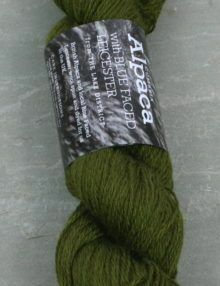 Materials 110<120, 125, 150> m Town End Alpaca Yarns Pure Natural DK Alpaca yarn, 3.25 mm and 4mm needles, cable needle, tapestry needle. Sizes Petite<Small, Medium, Large> adult sizes. Un-stretched circumference around brim is 38<40, 42, 44> cm. 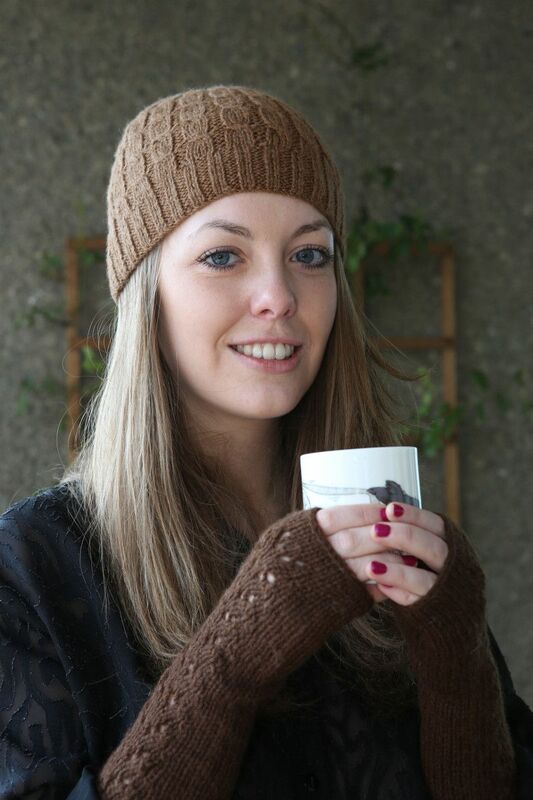 A simple adult beanie hat with a textured Acorn stitch pattern. 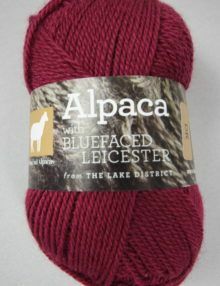 This hat is knitted in Town End Pure Natural DK Alpaca yarn. 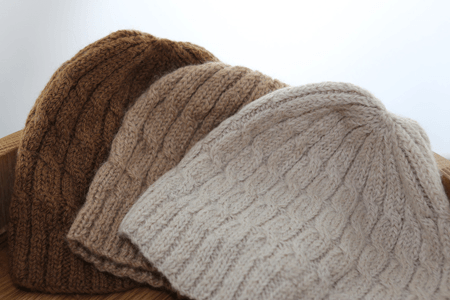 London Cowling is a simple, unisex cowl – and we can say that because men have asked for the sample. It is, apparently, ‘perfect’ for cycling in. 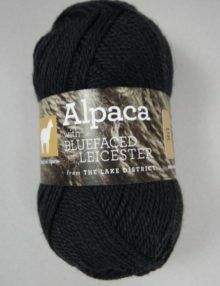 It’s knitted on biggish needles for this weight of yarn, but that makes it super-squooshy and warm. 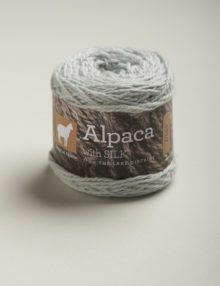 We use a provisional cast-on (whichever one you like, we’re not fussy) and then finish off with a 3-needle cast-off so you should really only have 2 ends to sew in and you’re done. Simple, but extremely effective. 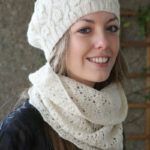 Tension: 21sts and 32 rows to 10cm over garter slip stitch pattern on 6mm nds after steaming / wet blocking, but as this is a cowl it’s probably more important that you have a fabric you like rather than struggle to match one that we specify. 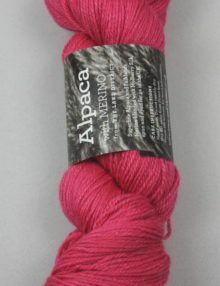 Be aware though that if your tension is very different then your yarn requirements will differ, too. 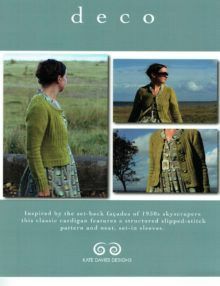 Finished size: approximately 29cm (11½”) deep and 64cm (25¼”) circumference after steaming / wet blocking. 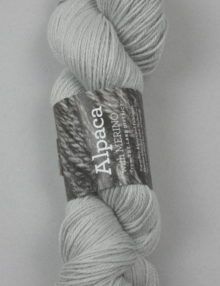 Yarn: Town End Pure Alpaca DK yarn – you will need 2 50g balls. 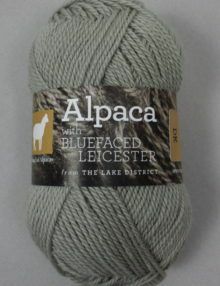 The pattern has two sizes given and two different weights. 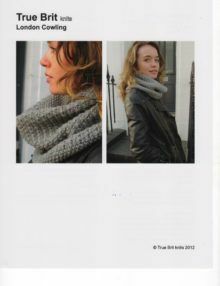 So you can knit a small cowl that will pull over your head and give a snug, tuck-into-your-coat cowl (like the London Cowling) if you knit the smallest size in the DK. 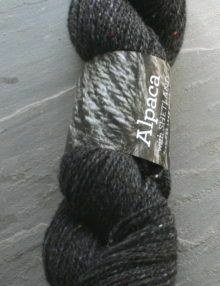 The larger one gives a cowl that you can twist and wrap round twice for warmth / effect. 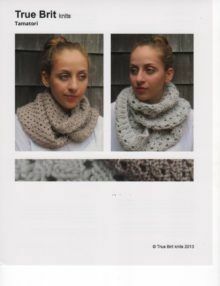 The Chunky yarn will give cowls that are slightly bigger in circumference than the DK ones, measurements given below. 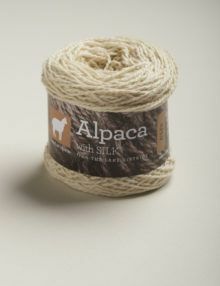 We have knitted the cowl in our DK yarn – you will need 2 x 50g balls for the small size and 4 x 50g balls for the large. 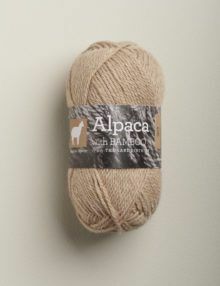 We have also knitted it in Town End Pure Natural Aran Alpaca and you will need 3 50g balls for the small size. 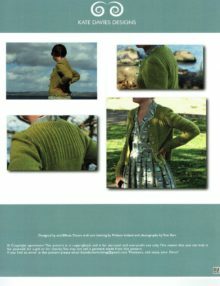 The pattern is easily adapted for any yarn if you knit a tension square first. 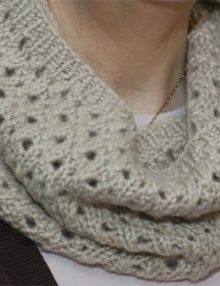 Finished measurements: For the DK (and our Aran version) cowl: 58(116)cm / 23(45¾)” circumference, depth 31cm / 12¼”.